Kyle Bennett, Editor-in-Chief of HardOCP has published a report which could open a new chapter of litigation for NVIDIA and something that, if true, is very much reminiscent of practices that came to light in the CPU industry a few years back with Intel and AMD locking horns and a $1 billion fine. 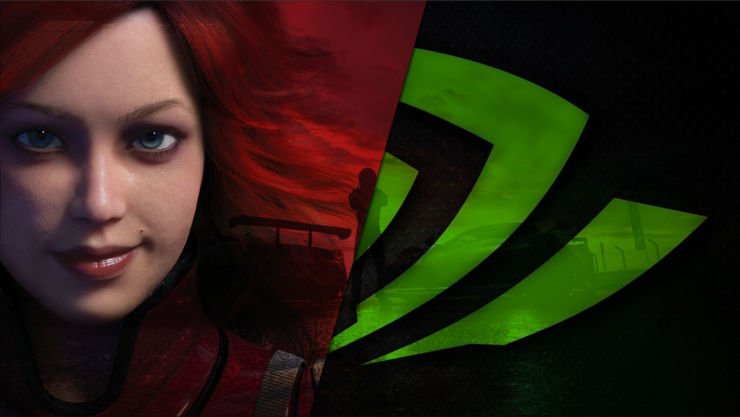 The report details the ‘NVIDIA Geforce Partner Program’, a program that was made public some time ago but seems to be a mostly boring affair on the surface. The report by Kyle on the other hand, alleges something completely different: an anti-competitive, and monopolistic program, that is designed to remove the element of consumer choice from most OEM designs. They will reportedly achieve this by using a wide variety of written and unwritten incentives. The tale goes like this: any OEM who agrees to align a high end gaming brand exclusively with GeForce will be considered a GeForce partner and will get a lot of written benefits – including help with marketing material. There are also some implied unwritten incentives according to the report, which include priority allocation of GPUs for GPP members as well as channel discounts. The example that will likely resonate best with HardOCP readers is the ASUS Republic of Gamers brand. I have no knowledge if ASUS is a GPP partner, I am simply using the ROG brand hypothetically. If ASUS is an NVIDIA GPP partner, and it wants to continue to use NVIDIA GPUs in its ROG branded video cards, computers, and laptops, it can no longer sell any other company’s GPUs in ROG products. So if ASUS want to keep building NVIDIA-based ROG video cards, it can no longer sell AMD-based ROG video cards, and be a GPP partner. Most of the contracts for GPP have been signed and if the company’s own statements are to be believed they have the wide majority of players already in the contract. As Kyle mentions, this is one of those things that are going to take years in court before any conclusion is reached and anything is proved. Regardless of what happens though, this is going to be sure to turn a lot of attention NVIDIA’s way now. Key Disclosures: NVIDIA has completely denied on-the-record the existence of all anti-consumer practices alleged in the report and have stated while the program exists, there are no MDFs/discounts/priority allocation associated with aligning a gaming brand exclusively with NVIDIA. In the interest of complete disclosure and transparency I will also mention that AMD reached out to me stating that they had received tip-offs from multiple partners who stated (on the condition of anonymity) that the program existed a few weeks back. The initial information provided to me seemed very interesting so I picked up the thread and reached out to some of my contacts and do my due diligence. Unfortunately pretty much any OEM/AIB I reached out to refused to talk about GPP on-the-record and only one AIB, on the condition of anonymity, hinted at the existence of the program. Armed with just one anonymous record and NVIDIA’s complete denial, it was hard to roll out an unbiased piece, but it looks like Kyle has had a lot better luck than us (and elbow grease!) and has done enough legwork to finally move forward with a fleshed out story. This is a developing story and might be updated.